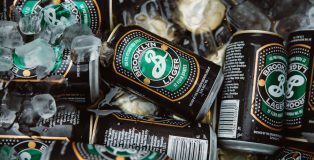 Much like myself, Brooklyn Brewery’s Brooklyn Lager is an 80s baby, so naturally, we have a lot in common. And ironically—or maybe not so—this beautiful, golden brew entered my life two decades later, upon my first year as an adult living in NYC. With its green and black Milton Glaser logo and strong presence throughout the five boroughs, it seemed obvious this was a craft I needed on draft. Today, Brooklyn Lager reminds me of those long-hour work weeks that ended with a sweet, malty reward. Its ubiquitousness is one constant in this ever-changing city that never disappoints. When you speak of OG beers, few stalwarts deserve the title more than Oskar Blues Brewery’s Dale’s Pale Ale. You can call many brewers innovative, but being able to say that you canned the first ever craft beer definitely gives you some added bragging rights. 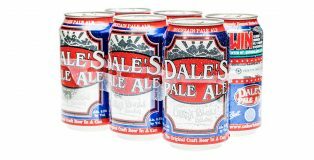 Dale’s Pale Ale’s adept combination of floral hops and malt overtones was first packed into aluminum back in 2002, in the early days of craft beer’s infancy, before beer was served in snifters and incessantly critiqued on social media. 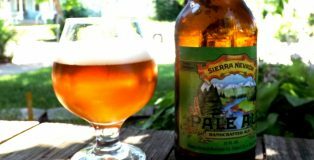 The iconic “strong pale ale” is still one of the most recognizable beers on the market even as the style of Pale Ale has evolved and the India Pale Ale entered its heyday. Here’s why it continues to capture the taste buds of drinkers across the country. Germans don’t throw the word “prima” around lightly. It’s used to describe only the things that they believe to be truly outstanding. Often, this word is exclaimed in joy as someone enjoys a truly world class meal, beverage or experience. 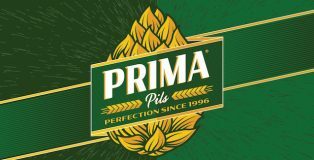 Believe me when I tell you that Victory Brewing Company‘s Prima Pils is worthy of the name and, at 22 years old, it is the definition of a craft beer OG. It was the summer of 2009. Black Eyed Peas’ Boom Boom Pow was blasting on pop radio, the Lakers had just beaten Dwight Howard and the Orlando Magic in the NBA Finals and for the first time in my college life, I wasn’t going home to Montana for the summer. It was also the summer that I had Widmer Brothers Brewing’s Hefeweizen for the first time and that summer I fell in love with craft beer. 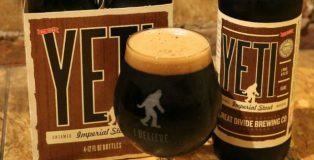 There’s a Talking Heads song you probably know if you were old enough to drink when Great Divide’s Yeti Imperial Stout was released. David Byrne’s songs weren’t always coherent, lyrically, but damn it if they weren’t cool. As I get older, this line often runs through my head: And you may ask yourself, well, how did I get here? How Great Divide got here was through the vision and hard work of founder Brian Dunn. In the ‘80s, while Talking Heads were writing songs about buildings and food, Dunn was overseas building farms in developing countries. 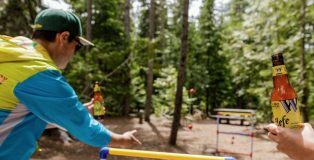 When he returned to Colorado, he started homebrewing and went to grad school. When Great Divide officially launched in 1994, Dunn was the only full-time employee – brewing, bottling and selling the beer himself. After some fantastic initial success, Great Divide bought a building (an old dairy processing plant) in downtown Denver in 2001. Anchor Steam®. Those two words serve as a metaphorical window into a world filled with a veritable wealth of American beer history. 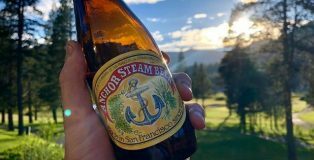 To view Anchor Brewing is to observe three distinct stages of American brewing: 19th Century to Prohibition; the resurrection of American craft and the establishment of craft as a business worthy of significant investment. 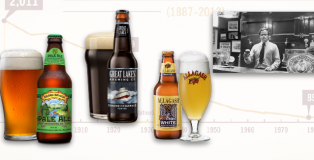 To drink the beer is to enjoy a historical brewing process that afforded West Coast brewers an ability to brew successfully without ice; it also helped remind later-twentieth-century beer drinkers that beer need-not be clearish-yellow and full of adjuncts. 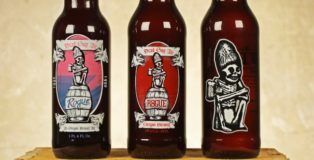 We at PorchDrinking.com thoroughly enjoy covering craft beer trends and showcasing the newest beers. 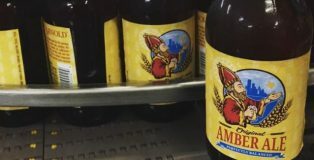 But, before terms like Brut, Milkshake, New England and even BBA entered the brewing-industry lexicon, beer fans were thrilled to taste Ambers, Pale Ales and some mysterious beer that may or may not have arrived from India. So, for one month, we are going to take time to remember some of those OGs of Craft Beer — the brews that made it all possible. An OG beer showcase will publish each day for the next several weeks. 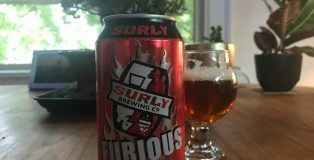 It would be a daunting task to cover them all (we are discussing less than one-half of the beers on our list), but our writers selected beers near and dear to their heart, ones that were often gateway beers that lead to our love of craft. We hope you enjoy our homage to the abridged list of classics.